Compared to Pick 4 or 4D games, lotto games are of different genre all together. The odds of winning a Pick 4 game are only 1/10000. Meanwhile, the odds of winning a lotto games could run into 1 over millions. Typical lotto games played varies from country to country. Typical lotto games are 6/42, 6/45, 6/49, 6/52, 6/53 and many more. Personally, I have played lotto games in Malaysia where the games being played are 6/52, 6/55 and 6/58. My favorite game is the 6/52 lotto. Please take note that you should always play the lottery games with the lowest odd. Malaysia used to have the 4/49 game which was later replaced with the 6/52 game. I used to play the 4/49 game with a lot of success until they changed to the more difficult but higher prized game of 6/52. Playing a lower odd lottery game will present you more chances of winning regularly. If you are playing the lotto games with less than 10 lines per week, then it is fine that you play your games with whatever method that you are using now. But if you are playing more than 20 lines up to 80 lines per week, then you should consider using a lottery system to increase your odds and chances. I have stopped playing lottery games after I found my BnX formula where the pick 4/4D games proven to be making more regular money than the lotto games. Constructing the numbers and research for my pick 4 strategy already consumes a lot of time that I decided to put aside lotto games for a while. But I still have one mission unaccomplished with the lotto games that is nailing the Jackpot Prize. I intend to come back to lotto games later. But for now, I am sharing with you some of the software’s and strategies that I have purchased and used over the years for my lotto plays. The systems are proven and will be helpful to lower the odds and increase your chances of winning. The systems had helped me before to win 5 number match few times and 4 number matches regularly. But I would like to stress that you will not see success with lotto games regularly as the Pick 4 or 4D games as the odds are so huge in lotto games. The objective when you are playing the lotto games should be to breakeven or half the cost of play while you are playing patiently to nail the big prized Jackpot. If you have set the objective of winning the jackpot instantly when you rely in any system or strategies then you will be in for disappointment. Ok, let’s take a look at some of the software and systems that I have used and some that I have put in my future purchase list that I deemed worth buying or trying when I want to play lotto games again. 1. Ken Silver’s Silver Lotto System or Honest Lotto System. This system is authored by a person known as Ken Silver. If you google over the internet for lottery systems, probably you will see more of this system than anything else. The system has been hugely popular and you can view plenty of reviews. Some of them bashing the system and some of it prasing the system. Anyway, I just bought the system no matter what the review was because i read so much about the system. Contradictory from the reports on the internet, the system does work. How you define whether it was failure or success depends on what is your expectation from the system. You can read my Silver Lotto System Review for complete information about this system including its actual winning track against the previous draws. Basically, this is what will happen when your purcase the e-book. It will provide you a guide on a number selection method for each of the position of your your single lotto entry line based on some formula by the author. You just to need to arrange the numbers according to the instruction. The range of numbers that should be chosen will be given but the number is still selected by you. Once this is setup, a complete set of numbers will have 40 lines to play for. You however can reduce this according to your budget but the full lines are about 40 lines or entries. Once this initial configuration is done than you can use it forever without bothering about hot/cold numbers or whatver statistic method is out there. You transfer the the numbers into a betting slip and use it time and again. If you use it over a month, definitely there will be few winners in a month. Whether the win is a 3 number match, 4 number match, 5 number match or the elusive Jackpot depends entirely in your luck and the type of game that you play. But it does produce winners. If you think the numbers are not good enough or you have won a big prize, then you need to open the book again to change the numbers by following the instructions to construct the number and prepare a new set of numbers to be played all over again. If you are a lazy person and already spending anything between 20-80 lines per game without any strategy and you did not win anyting as well, then you may consider buying this system. It will at least put you into a better prospect into winning something from the lotto games. This software is among the best software that I have ever used for lottery prediction purposes. It is packed with statistical information on how your lottery behaves and what pattern is frequently being played in your lottery so that you choose the filters as they called it which has the most occurance and you build your lottery lines based on it. I often combine this with the Silver Lotto system and filter out the unncessary numbers from the Silver Lotto using the Lotwin software as a result i just play 5 to 7 lines compared to the full 40 lines from the Silver Lotto System. In the Lotwin software, you will be in total control of numbers that you want to include in the filters and what numbers to exclude to that you wheel out a powerfull combination. I won few 5 number matches while using this system. The only drawback using the system is the subscription fees which are charged on a monthly basis. If you can afford, you can buy the full system without having to subscribe monthly. Nevertheless, if you are looking for one powerfull software, then this is it. Even if you don’t buy it, just go to the free trial download and try to use the system. I am sure you will love it. In the free trial, you can use all the funtions of the system so that you can realize the potential of the software. You will not be able to view the 2 digits from the from each of the lottery lines from the final play list when you are using the trial version. So how does the above sound ? I just discovered this thing and decided to get it and listening to it. One more weapon in the arsenal to tackle the lottery syndicates. It so hard to get better over them nowadays. This is one way to charge you up and stay motivated. I have never tried the system before but has been getting updates from Stefan Vandevelde where i have used few of his systems before. 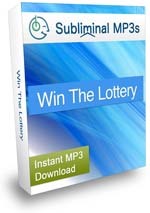 This is a brand new lottery system that is developed by Stefan have good reviews from what I read from the Internet. The best part is the very limited number of tickets that is played for each draw. This system is targeted for low budget players and the number of lines that need to be played is only 7 ! So if you are a low budget player but high on hopes of striking the elusive Jackpot, then you may probably want to check this system out. It may turnout to be worthwhile investment for a long time to come. At the time of this writing, Stefan offered a 60 Day Unconditional Guarantee where you can request for refund if your are not satisfied with his product. So check it out….